On April 26-27, 2013, local restaurants and watersports operators will join together to participate in the first annual Fosters Food Fair Earth Month Lionfish Tournament. 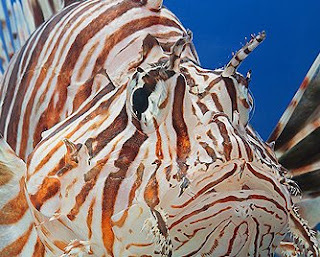 The objective is to cull lionfish from local reefs to help with the unprecedented numbers of this invasive fish and to offer an array of lionfish dishes to local diners at their favorite restaurants. Restaurants will sponsor a culling team with watersports operators and put together a culling team of six licensed cullers. Culling courses are offered through local diver operators. Cullers will go with their watersports operators team during a 24 hours period (5pm on Friday, April 26 to 5pm on Saturday, April 27). A weigh in will take place at each watersport operator where prizes will be awarded for largest catch, biggest lionfish, largest cull in weight and smallest lionfish in length. 75% of the fish will go to sponsor restaurants and 25% to Fosters Food Fair.